Sometimes it is good to do an article that is practical – applied – rather than opinionated or political. This proposal pertains to Biliran Island but may be relevant elsewhere in the Philippines, too. It started as a bit of curiosity and evolved into a project. I suppose it is a vanity blog. You can skip to the bottom if your mind starts to go numb. Look for the “Big Question“. Personally, I learned a lot in scoping out this project. Biliran Island is essentially one giant volcano that has pushed up six mountains which act as rain gatherers, thrusting cool air up into the warm, wet tropical air and sucking the moisture down as generous rainfall. If you look at Map 1, you can see the deep channels on the island carved out by water crashing down the mountains. Most of this water rushes to the sea, stopping along the way to irrigate terraced and coastal rice fields. Some of it is fed off into civic water pipes. There is some friction between the municipalities and the rice-growers about water usage, especially during the dry months (April, May). But most of the year there is a lot of rainfall at higher elevations and the rivers run year-round. Plenty of water for all. Waterfalls on the island are promoted as tourist attractions but don’t get a lot of non-local visitors. There is not much infrastructure here in the way of hotels, no airport, and it’s a long drive from the big cities of Tacloban and Ormoc, Leyte. Biliran currently imports electricity from generators on the adjacent large island of Leyte. The contract expires later this month and the electrical cooperative (BILECO) is negotiating with another supplier in Bataan to obtain a steadier supply of electricity. Costs now are very erratic. BILECO imposes brownouts on its population, usually one or two Saturday’s a month, to manage overall expense and ease demand on suppliers. I doubt that there is enough wind for a wind farm on Biliran. There is plenty of sunshine, but solar is not the most cost-effective electrical generator. Waves are ample, but I don’t know of any commercially successful wave generators. A geothermal generator pegged to produce up to 150 megawatts of power failed in 2011 when the developer’s main business in Iceland collapsed. Geothermal may have promise. Biliran is essentially one large volcano, and hot springs are a popular attraction on the east side of the island near the town of Caibiran, and in the northern sectors. It is recorded, somewhat speculatively, that there have been three volcanic eruptions over the past 350 years, the last in 1939 which caused a rockslide and spread a small amount of ash over Caibiran. And then there is hydro. Water rushing downhill. What a perfect place for water rushing downhill. It crashes down 1,000 meters to the sea every day. Down very steep mountainsides. The roar is a consistent year-round background noise at our home. Why are we not tapping that power? This could be done by multiple, small-scale generators across the island, or by one large power plant. I decided to explore the merits of a large power plant. 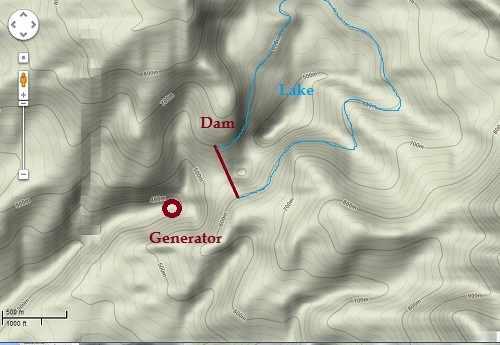 The top of the dam will be at the 600 meter elevation line. The pipe-outlet at the bottom of the dam will be at the 510 meter mark. The lake water (at the 575 meter mark) will be approximately 1.5 kilometers long and 0.7 kilometers wide. Water will be approximately 65 meters deep. Spillway gates at various elevation will control runoff to manage water depth and assure consistent, year-round downstream flows. I’ve started with an estimate of the amount of water than can be captured in the proposed hydro-plant, and a fairly precise measure of distance (130 meters, dropping from 510 to 380 meters). 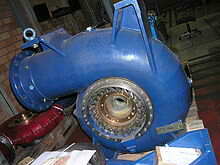 Turbine efficiency of 60% is fairly standard. Biliran Island currently consumes 6 to 7 megawatts of electricity. Biliran would become an electricity exporter to a very hungry Philippines. Are you nuts, Joe? Building a big dam on an ACTIVE volcano? The water from a collapsed dam would splatter your big town of Naval all the way to Cebu. Here are the Pros and Cons, with a response attached to each Con. Then I wrap it up with a Todo list and a reasonable Alternative. Ample, clean, steady supply of electricity. The lake land area is substantially vacant; little dislocation of homes would occur. Managed supply of water to agribusiness and municipalities. Protection against flash floods during major rainstorms. Substantial number of new jobs. Determine what other consideration has been given to hydroelectric power in Biliran, and what the findings were. Determine if new technology offsets negative findings. A geological probing of the composition of the earth in the dam area is needed, along with a probability and magnitude assessment of earth shocks. Assess rainfall runoff estimates and amounts likely to be lost via porus earth. Is significant water capture assured? What volume of water will be piped into generators. What are the financials for construction, generators, transmission lines, and operating costs; what are the sources of funds for construction; what is revenue likely to be? Install a network of small, river driven generators throughout Biliran Island. Avoid the dam, collect the energy. Actually, I suspect, if “big dam” soil analysis and rainfall analysis were done, this might rise as the most attractive approach. The technology in this area is well-developed. Geothermal. Get another investor to tap the hot springs, perhaps in a smaller scale than the project that fell through. Why is there no concerted electrical “self-sufficiency” effort being made on Biliran Island? Does the Provincial government only think of infrastructure in terms of roads (they are tearing up and rebuilding several kilometers of perfectly good road on the island right now)? Is the “cooperative” management a weak and non-inventive form of utility oversight? Might a goal of energy self-sufficiency by 2020 help focus the mind? Buy a boat to get off this volcano mighty fine quick if it decides to erupt. 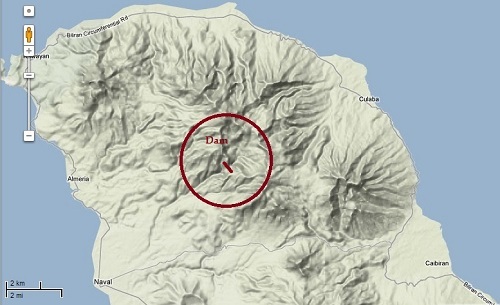 ACTIVE WORK HAS BEGUN ON A THERMAL ENERGY PROJECT ON BILIRAN ISLAND. ← China Is Buying America! Wind farms are excellent in the Western Coast of Luzon, it’s very windy esp during the cold months. Dams construction are very controversial in the Philippines. Basically, ANY government infrastructure. Everything is scandalized by the extreme left. But IMO, multipurpose dams are a good alternative for coal — flood control, irrigation and electricity in one. Here is a video of Ambuklao dam in Benguet. Very nice view. Wow, that video. What a wonderful statement of the opportunities and the RISKS! 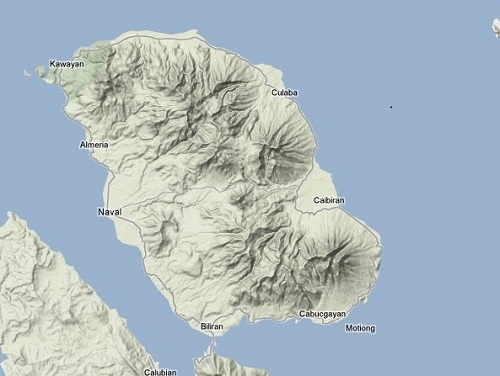 The Biliran project would be smaller in scale, but same idea exactly. It is good to know that considerable expertise and experience already exists for development of Philippine hydro-power. I didn’t envision digging through the mountain to create the generator flow, but rather, installing pipes external to the dam, in front. Great information to supplement this article. 12 dams listed. The San Roque generating dam has 345 megawatts of power. Magat 540. I think energy self-sufficiency for Biliran is just a commitment away. A commitment to doing it. By the way, as an offshoot to this discussion, I conclude that proceeding with the Bataan nuclear power proposal is not a good idea. The Mouse thinks that a combination of geothermal, wind and multipurpose dams are the way to go. These three are like hitting two birds with one stone: tourism and power generation (and irrigation even!). Good thinking all the way. 1. Very thorough – research and planning. 2. The active volcano part scares the pants off me. Let’s see, three eruptions in 350 years averages to 117-year intervals. Last eruption was in 1939, so the next expected bang would be about 2056, about 43 years from now. Hmm, the only thing that comes to mind is… YOLO. 2.1. Small-scale multiple generators seems to be a better idea than a large plant? 3. You seem to have canvassed all the power generation options except fossil fuels (coal) which is a no-no in the face of global warming. And nuclear which is even a bigger no-no on unstable land. Liquid fluoride thorium reactors, a mothballed technology, are supposed to provide energy abundance until nuclear fusion reactors become a reality, and that technology will last forever until the sun burns out. 4. I mentioned before, civilizations are measured by the amount of energy generated and used, the Kardashev scale. We are at the lower/middle end of Type I which encompasses fusion power. 5. On a side note, Gerry Espina, the springboard of the Biliran dynasty, was my first prof in Poli Science. He was one of 3 profs who influenced me to major in Poli Science, which is a misnomer. As practiced in the Philippines, politics is a dark art. No, no, no, not an art, a trade in at least two senses of the word. 6. On a happy note, YOLO might be a misconception. I have it on good authority that we return and live for an eternity. That’s the good – and bad – news. Ahahaha, who is your good authority? Your drinking glass? I’d be happy to return, but preferably not as a rat or bug. Interesting that you are a product of the Espina dynastic power. I understand your tendency to lobby for ideas now. Politics in the Philippines is being opened up to the light one blog and tweet at a time, I think. You may be right. Considering that the island only uses 7 megawatts of electricity, small scale river generators might do the trick. Also, it seems like an ideal place to tap thermal, if that is cost-feasible at fairly small scale. As I think about the Spratleys, and the main goal being oil, then I look at the power potential from islands where hydro, solar, wind and thermal exist in generous portions, I’m thinking a “win” in the Spratleys is to block China from drilling. Then go balls to the wall developing alternative forms of power, adding electric cars to the mix of transportation. And sell the excess electricity to China!!! Now about the length of that extension cord . . .
Cable to Batanes through Taiwan to mainland China. The question I have in mind is how to “block” china from drill. They seem hell bent on drilling it. Not bad esp considering that the province only has 300,000 people. Itogon has close to 50,000 people and Bokod 13,000 people. Wow, so power plus tax money for the schools. Biliran should hire that company asap. I like “Install a network of small, river driven generators throughout Biliran Island” Less environmental impact and if an accident were to happen it will not be catastrophic. Preference duly recorded. It is amazing to me how much water runs from the mountains of this small island. There is a road “across the top” to Caibiran on the other side, which is shorter than the drive around. The river flows across it, and usually the water is too deep and fast for my Honda civic to negotiate. I need a big honkin’ 4WD. There is one in a small town of Badian in Cebu. They installed a generator downstream from a waterfall. I did not bother to ask how many megawatts it delivered because it was guarded by Philippine Army with ugly-looking armalites the other was oiling a WorldWarII garand rifle. Well, they say they were Philippine Army but the looks of them appeared like they were not. Very descriptive. Have you considered writing novels? Thank gootness, Joe brings up power issues which is everybody’s issue. Power here is soooo expensive. Why does it have to be when we can tap it naturally from rivers to generate paddle-power generators? If I were to believe what I read it appears Biliran geothermal plant was to have started construction in April by a Norwegian firm.